This last week, activists and academics around Australia, most notably The Climate Council and the University of Western Australia, blocked Coalition attempts to establish an Australian Consensus Centre with Bjørn Lomborg at the helm. Given the Coalitions’s gradual dismantling of significant gains made to reduce carbon emissions under previous governments, this was clearly viewed as a political move to steer the debate in favour of a loud minority of sceptics and vested interests. Such an assessment is clearly correct and indeed represents irresponsible government spending during what the Coalition itself has described as a budget deficit crisis. However, the response from climate activists, though successful, has focused on branding this commentator as a “contrarian” or “sceptic”, and has in the process misunderstood the government’s strategy and indeed Lomborg’s role. 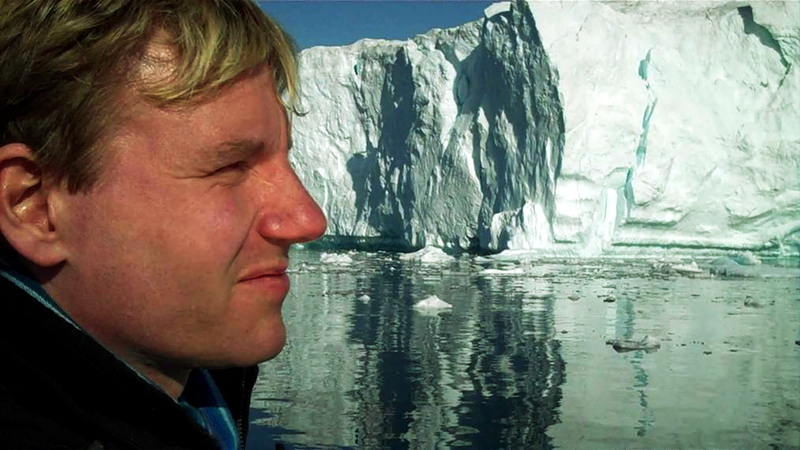 The titles of Lomborg’s books, among them The Skeptical Environmentalist and Cool It, evoke a stomach-churning feeling similar perhaps to that which springs to mind at the thought of Copenhagen (site of the biggest ever diplomatic failure in tackling climate change). Yet the man’s international CV makes it difficult to ignore his influence- his website lists him as one of TIME Magazine’s 100 most influential people, one of Esquire Magazine’s 75 most influential people of the 21st century, and one of the UK Guardian’s 50 people who could save the world. This is no fringe lunatic like Lord Monckton- his views have resonance well beyond the echo-chamber of climate skeptics. Indeed, his command of a range of political and social discourses makes him the kind of man the left would want on their side. In light of this, labelling him as falling into the same category as his Coalition sponsors only buys into the battlelines being drawn by the Coalition in our national debate. I have always been an advocate for constructively engaging with the political adversaries of the activist left. Not because I believe in compromise on such important issues, but rather because of their influence on a significant part of the population, and more importantly, because the battles being fought are often dialectical. This means that the true winners are those that, rather than shutting down the enemy’s energies, can command them better than the enemy itself, and it means that both sides are often so intertwined that one can learn most about oneself through understanding the other. Take the discourse of “skepticism”. Its origins are none other than the Enlightenment, and in fact the scientific attitude given birth to by the skeptic evolved to become modern science, the very same institution that has discovered and set out to solve climate change. Such an attitude is now being mobilized to undermine the power of scientific consensus on the issue. This is one example of how, by failing to engage a figure like Lomborg, we abandon his instrumental potential to be co-opted by the conservative right. More surprisingly, Copenhagen’s politicians have confidently declared that cutting CO2 now will ultimately make the city and its citizens wealthier, with today’s expensive green-energy investments more than paying off when fossil-fuel prices rise. But how can deliberately limiting one’s options improve one’s prospects? These sound more like the arguments of green campaigners – and they are most likely wrong. With little faith in social approaches that rely on an imagined collective future, Lomborg’s perspective undermines movements that seek to build a new society within the shell of the old, and to create the conditions for their own success. Yet what Lomborg manages to do very well is to take technological and economic approaches to their natural conclusion, and as such expose not just the extent of their potential and their influence, but also their unspoken values, and their limits. Lomborg’s recent schtick has been to find value-for-money ways to solve the world’s problems, and indeed, which of the world’s problems can be solved in the most efficient manner. He takes the discourse of protecting regions most vulnerable to climate change to task, admittedly, largely in service of his agenda of proposing technical solutions to poverty. Yet in doing so, he exposes the first-world guilt behind these discourses which cover over our ability to tackle poverty in the present moment. His article ‘Seven Value-for Money Ways to Save the World’ sounds like a recipe for reductionist, neoliberal individual solutions, yet on the contrary it opens the possibility for broad, integrative solutions like increasing migration flows, and gives economic justification for progressive causes like stopping violence against women. His overall conclusions on climate change- that we should focus on the more immediate aspects of the problem, as well as other problems like ending HIV, instead of taking long-term approaches, is misguided. Indeed, some of these conclusions emerge from clear misunderstandings of the process of climate change and from siding with think tanks that serve vested interests. Yet Lomborg’s perspective is nonetheless valuable because of his particular awareness of how deeply entrenched the barriers are to taking significant action on climate, as well as of the possibility of new solutions emerging from the status quo. 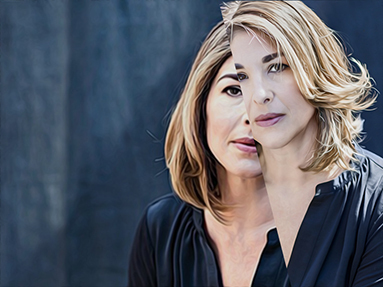 Naomi Klein herself recently elaborated the barriers to climate action, perhaps more comprehensively than any before her, in This Changes Everything. Yet reading her work carefully, one can see that climate action’s opposition to the capitalist status quo does not make it exceptional, only special, in its distinction from other progressive causes. Klein and Lomborg, in this way, share an antagonistic logic, a logic that points towards the choices and sacrifices that must be made. This approach is already more productive than those which portray our present state and its possibilities as unambiguously good or bad. As Lomborg observes in his article ‘The Alarming Thing About Climate Alarmism’, the alarmist attitude often clouds our judgment and our ability to come up with new ideas. He also comes close to a very important point on climate alarmism- that it makes climate disaster seem like such an inherent consequence of our modern condition, in turn making it appear unlikely that a viable solution could emerge from the current state. In the words of Mark Fisher, ‘it is easier to imagine the end of the world than it is to imagine the end of capitalism.’ Likewise, the liberal approach to climate action too often focuses on finding individual solutions which take for granted existing political and economic frameworks, an approach that backs away from making true transformative social change. This antagonistic approach does tend towards consciously committing oneself to a particular perspective or set of interests which promotes particular choices and sacrifices and sets it against others. Lomborg’s advocacy for consensus is also profoundly ambiguous. On one hand, it points towards the need to engage groups of people whose views and interests may differ widely from ours in order to foster some kind of common interest in a context when our interests may diverge so widely. On the other hand, it substitutes the real scientific consensus on climate change with a false attitude of “balance”, in effect undermining the authority of the IPCC, as well as tending towards an appeasement of the “consensus” held by vested interests in the status quo. In this sense, Lomborg is profoundly different to Naomi Klein, who is increasingly aligning herself with revolutionary socialism. Yet, importantly, it puts one in a position where they can become significantly influential, and not just as a key driver of the machine that maintains business as usual. This is why Lomborg has received recognition from media organisations like TIME and the Guardian. Klein herself retains an ambivalence towards both capitalism and revolution, as explored in this excellent piece in The New Inquiry, and perhaps this also goes hand in hand with her broad influence. This discussion, as well as the overall backlash to the proposal for Lomborg’s Consensus Centre, further exposes a profound problem in the way we talk about and use science in debates over climate change. This is the manner in which we reify “science” as if it were an actor in political discourse. Talk of “defending science”, an “attack of science”, and “politicizing science” was rife in the push back against the Consensus Centre. As if science could stand on its own as an ideology or solution to our current problems. This reification obscures the tensions at the heart of scientific discourses, which often promote purely technological approaches that reinforce man’s dominion over nature, and forecloses the possibility of inserting our own values into political discourse. Values such as safeguarding the future, embracing the continuity of human society and nature, and fostering collective action are the ones that will provide the energy to come up with real solutions for climate change. In place of these values, the empty signifier of “science” too often stands for a continuation of the status quo in which technological advancement has brought up to this point. Thus, by insulating science and turning too quickly against perceived challenges, climate activists may be partaking in reactionary discourse that only reinforces the status quo. I am not entirely certain how far this problem goes and how it pervades the movement in other countries, yet it is clear that elsewhere, namely in Scandinavia and other parts of Europe, the movement has engaged in a more constructive manner with Lomborg and his ilk than we have in this latest episode. Ultimately, it does not take more than a cursory look over Lomborg’s writings to find that he shares much common ground with the activist left. For example, he recently called for an end to fossil fuel subsidies. A careful and critical reading of these writings points towards the ambiguities and tensions at the heart of any attempts to bring about social change, as well as the possibility of using the language of conservatives and technocrats strategically and without adopting their logic. He may not presently be an ally, but he is not far from it. And let us not forget that, in the absence of strong, organized ideological opposition to the capitalist consensus of keeping business as usual and letting humanity come up with technical solutions for nature’s problems, any such energies will lose their potential to transform our society for the best. For ultimately, the fight for a sustainable Earth is not between two diametrically opposed sides forever at war. It is humanity fighting with itself.